Eight people have been fined a total of £2,856 for littering offences in Sefton. 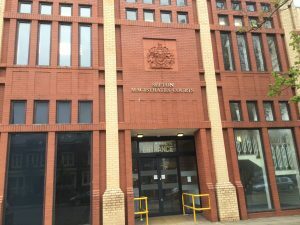 The figure, which includes costs, followed hearings at South Sefton Magistrates Court on Tuesday, April 18 brought about by Sefton Council. Many of the cases were proven in absence and those fined included: William Bates (52), Westminster Avenue, Netherton, Lauren Hunt (20), Chambres Road, Southport, Shauma Hunt (44), Rockhouse Street, Liverpool, Megan Kershaw (19), Weld Road, Birkdale, Simon Mutch (61), Trinity Road, Bootle, Karen Ratcliffe (27), Ashley Road, Southport and Stephanie Williamson (20), Churchtown Road, Liverpool. Mary Ross (61), Bede Road, Bedworth made a guilty plea at court. A spokesman for Sefton Council said: “People need to realise that dropping any form of litter is not acceptable behaviour. “Residents and visitors to the borough need to understand that they are responsible for correctly disposing of their own waste and we will not hesitate in following court proceedings for those who flout the law.